I have in my possession, a Vintage Monopoly car, you know one of the pieces used to move around the board while buying up properties during a game of Monopoly. The Monopoly game I got this car from was my grandma's. I remember as a child playing with the Monopoly game at her house. She passed away a while back, and the Monopoly game was missing pieces, so I scavenged a few of the game pieces. I am looking to the Craigslist and Facebook Communities to get this story started. 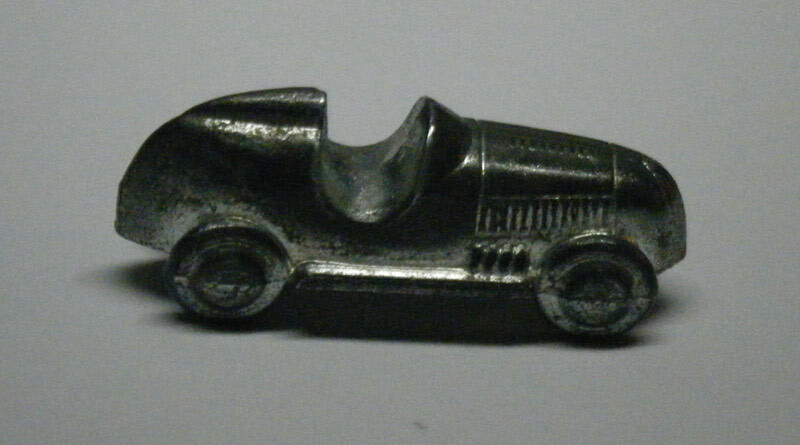 I have posted this Vintage Monopoly car in the Barter category on the South Bend, Indiana Craigslist page. I am looking to trade it for something bigger or better. It doesn't necessarily have to be of greater value if there is a good story to go with the item offered up for trade. The end goal is that once I am done trading; I would like to have a free-and-clear piece of property such as a house or commercial real estate. I am excited to see what may happen!